Information and specifications on the Shoprider GK10 Spirit. Come in to Mobility Store in Nanaimo to see more. The GK10 Spirit is the largest, most powerful take-apart scooter in Shoprider’s range. It has the longest range of all their take-apart scooters and is the only one with a headlight. Like the other GK scooters, the batteries are portable and can be charged on or off the scooter. The battery pack is in two parts, each part with a handle for extra portability. The lightweight seat features a folding back and width adjustable armrests. The armrests fold up out the way and the whole seat swivels for easy access. For ease of loading into a vehicle there are large easy to grip handles on several of the parts. The basket can be lifted off and the tiller quickly folded down. The steering is easily locked to stop the wheels turning when loading the scooter. 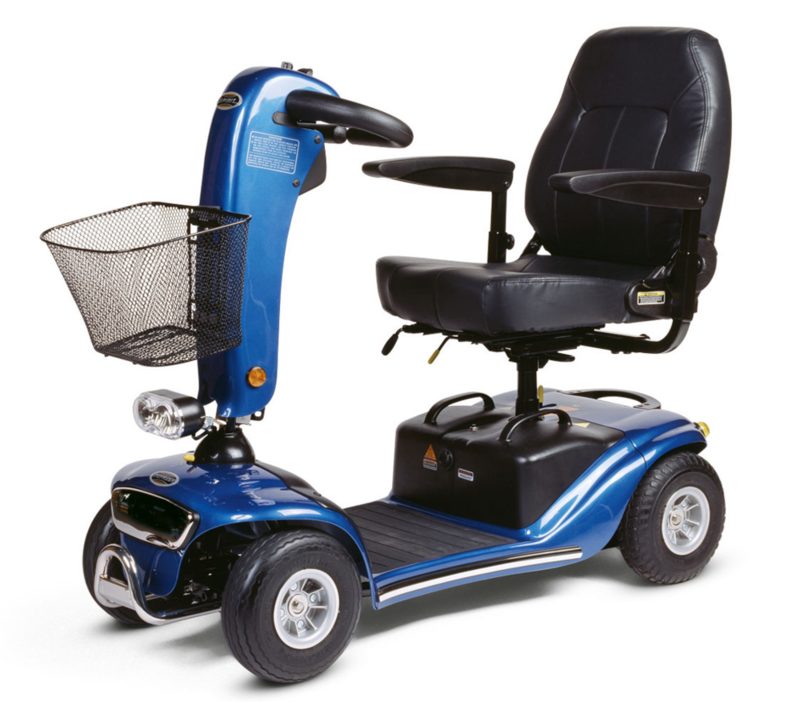 The battery can be charged on the scooter, or easily lifted off using the built in handles to charge at a convenient 110 v. socket.